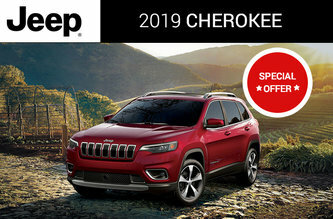 A maximum of $2,500 in total discounts is available on 2018 Jeep Compass Sport models and consists of $1,500 in Consumer Cash and $1,000 in Bonus Cash. Consumer Cash Discounts are applied before taxes and Bonus Cash Discounts are applied after taxes. See your dealer for details. 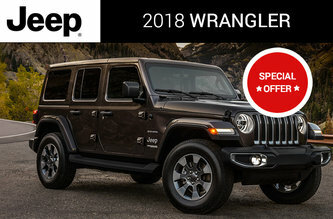 4.79% purchase financing for up to 96 months available to qualified customers on approved credit through Royal Bank ofCanada, Scotiabank and TD Auto Finance on select 2018 Jeep models. Example: 2018 Jeep Compass Sport with a Purchase Price of $23,995, with a $1,795 down payment, financed at 4.79% for 96 months equals 416 weekly payments of $64.35; cost of borrowing of $4,569.6 and a total obligation of $26,769.6. Lease financing available through SCI Lease Corp. to qualified customers on applicable new 2018 models at participating dealers. SCI provides all credit approval, funding and leasing services. Dealer order/trade may be necessary. 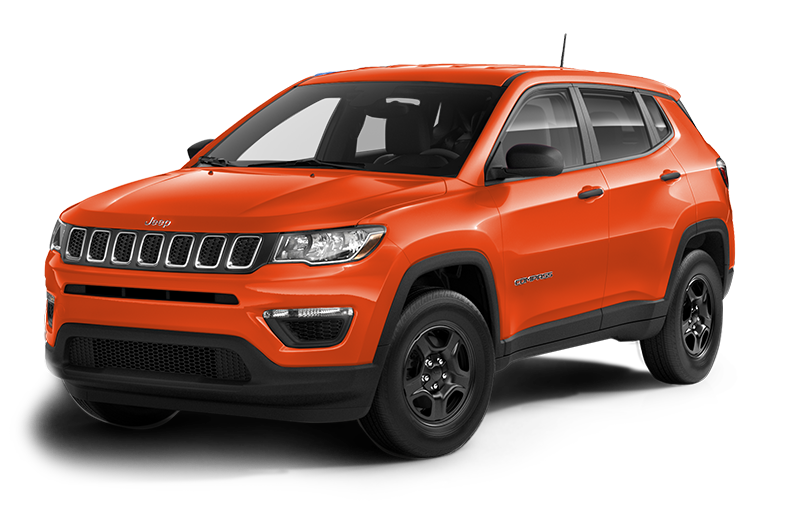 Example: 2018 Jeep Compass Sport with a Lease Price of $23,995 leased at 7.79% for 60 months with a $500 security deposit, $1,743 down payment and first month’s payment due at lease inception equals 260 weekly payments of $79 with a cost of borrowing of $5,916.6 and a total obligation of $22,343.25. Kilometre allowance of 18,000/year.Cost of $0.16 per excess kilometre plus applicable taxes at lease termination. See your dealer for complete details.